If you value home security, chain link fencing may be the way to go. Different fences offer unique benefits, but chain link fences offer a combination of traits that are optimal for keeping intruders out while allowing you peace of mind within your home. Let’s take a look at why. 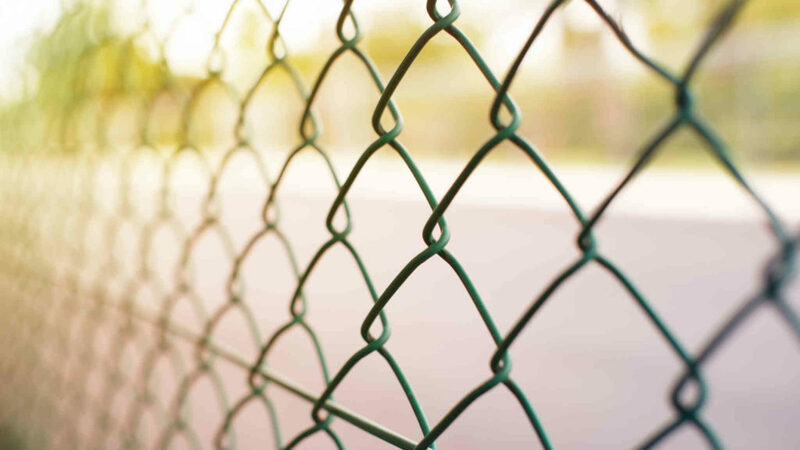 We’ve noted before that chain link fences are highly durable. While prone to rust over a long time, chain-link fences are reputed for surviving tough wind storms and bombardment with debris. This metal construction also works against the human element. Chain link fences can be difficult to climb, especially if you choose to build a 6-foot fence or higher. If an intruder can’t get over the fence, they’ll have a very tough time getting through. Any attempt to break or damage the fence will cause noise which you’ll likely be able to hear and then call the authorities. This is an aspect of chain link fences that’s often overlooked but that’s actually a great security feature. Chain link fences enable to see all around your property so you’ll be able to identify threats quickly. Your neighbors will also have better visibility of your premises, enabling them to call you and the authorities if they see anything suspicious. Therefore, chain-link fences will give you privacy in the fact that you’ll when someone is coming and assess if they are friend or foe. If you have a family guard dog, a chain link fence will let him be fully aware of potential threats, as well as be another visual deterrence! Chain link fences are very affordable. This doesn’t directly apply to your security, but the fact that your fence costs are low means that you’ll have savings to invest in other security measures such as lights or security cameras. You can also add specific features onto the fence itself to enhance its structural fortitude. For example, certain railings can prevent the top metal wires from bending over and makes it more difficult to climb the fence. Whether you live in the city or in a rural setting, chain link fences can be installed in any location. Chain link fences are also highly versatile. You’ll be able to easily customize your fence features and layout to fit your unique property. If you’re in the market for a new chain link fence, you came to the right place! Excel Fencing and Decking has been proud to service Maryland since 1998, giving you the very best in-home remodeling. Call us at 410-803-9499 or fill out a contact form and one of Excel’s representatives will contact you promptly. This entry was posted on Monday, November 6th, 2017	at 9:25 am	. Both comments and pings are currently closed.